The global biodegradable packaging Market is expected to grow from USD 5.10 billion in 2017 at a CAGR of 17.4% from 2018 to 2026. Biodegradable packaging involves use of bio-based materials for packaging. These are mainly derived from renewable sources and are mostly bio-based polymers that are categorized into different types based on their source and production. Packaging as a technology involves enclosing and protection of different types of products used for storage, distribution, sale as well as use among others. Biodegradable as a term refers to the power of materials to break down and return to the nature after disposal in a short span of time. The exhaustive usage of starch and PLA as a biodegradable packaging material especially in food & beverages, and healthcare industry is expected to boost the growth of the biodegradable packaging market. It is seen that the increasing demand for healthier, safer, and convenient food, along with growing consumer awareness towards eco-friendly products in the recent times that have driven the for biodegradable packaging market. It is especially important in Asia Pacific, Europe and North America respectively that has been some of the major contributors to the biodegradable packaging market globally. In addition to this, it is the improving environmental awareness among people and strict governmental regulations that have brought a change in focus towards waste reduction and usage of eco-friendly materials further increasing the demand for biodegradable packaging. Biodegradable materials are considered as the possible solution for the waste problem, but biodegradability as a whole is just a feature of the material that is to be exploited at the end of the product usage or lifecycle in disposal environment which acts as a major restraint for the market growth. The biodegradable packaging market globally was valued at USD 5.10 billion in 2017 and is expected to grow at a CAGR of 17.4% from 2018 to 2026. Europe followed by North America is expected to hold a significant market share in the biodegradable packaging market globally. It is the Asia Pacific biodegradable packaging market that will likely grow at the fastest rate during the current forecast period of 2018-2026. The global biodegradable packaging market has been segmented on the basis of product type and end-use industry. Based on product type the market is bifurcated into plastics and paper. The plastics are further segmented into cellulose, starch, PHA, and PLA among others. The paper is divided into kraft, flexible, corrugated, and box board. Plastics dominated the market share for biodegradable packaging followed by paper. In plastics, it is the starch and PLA that held some of the largest market share. It can be attributed to the recyclability and high strength properties of starch polymers and PLA polymers. 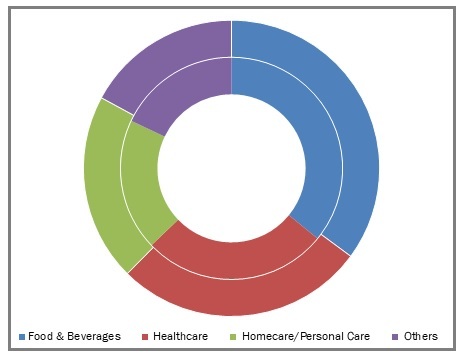 Food & beverages, healthcare, and homecare/personal care among others are some of the major end-use industries that are profiled under the scope of the report. Food & beverages segment is expected to hold the largest biodegradable packaging market share, in the global market based on end-use industry over the forecast period of 2018-2026. The increase in food packaging waste that is non-biodegradable has caused adverse environmental concerns leading to the development of polymers made from renewable resources for packaging of food & beverages. Manufacturers are gradually introducing biodegradable as well as sustainable forms of packaging to address the growing demand for eco-friendly packaging products. For example, the Coca Cola Company launched its Plant Bottle that is made from the bio-based plastics partially, while Danone using PLA as an ingredient for its yoghurt cups. Europe is expected to be the market leader in biodegradable packaging market globally over the forecast period of 2018-2026. A large part of the plastic carrier bags is made from naphtha, a by-product of oil refining, which is leading to various environment hazards. Because of this, the European government has imposed stringent regulations for the production of plastic and paper bags and focused more on the biodegradable forms of these materials. As a result of this, the manufacturers in Europe have also started the huge production of biodegradable plastic and paper bags. Some of the initiatives for example being taken by the government in Europe as per EPA are: in April, 2015, the government of Europe has approved a directive that requires all the member states to take strict action for reducing the consumption and use of plastic bags having a thickness of less than 50 microns. In addition to this, the Government in England in October 2015 introduced a charge of five pence for maximum single use plastic. The leading players in the biodegradable packaging market globally focus on new technology and product development along with a higher focus to reach small and developing countries as a part of their business strategy. For example, in January 2018, Amcor announced about its plan to become the first global packaging company that has pledged to develop all its packaging as recyclable or reusable by 2025. 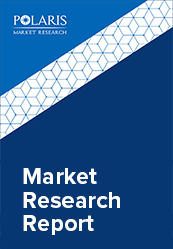 Major players in the global the market include Clearwater Paper Corporation, International Corp., Mondi Group, Amcor, Rocktenn, Novamont S.P.A., Smurfit Kappa Group, Kruger Inc., Reynolds Group Holding Limited, Stora Enso, and BASF SE among others.